Ponds, marshes, ditches, swamps. Most still waters, except bogs. Distribution Sources: 7, 16, 18, 24, 30. 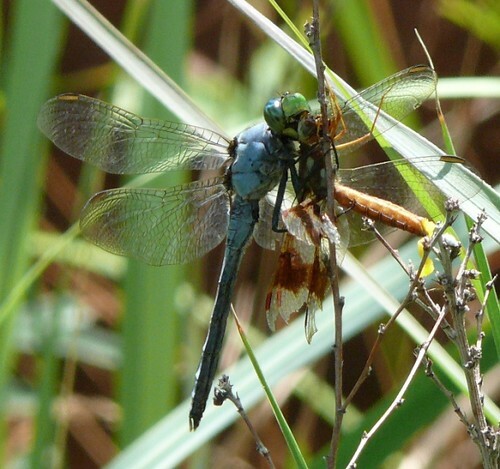 A very brief look at an adult male Eastern Pondhawk dragonfly. Though they are common around ponds etc. this is the only one I have seen and it didn't stick around long. It wasn't over 2 inches in length. A small but somewhat colorful dragonfly. Filmed along a pond in Minnesota. Thanks to Jeff for the identification! 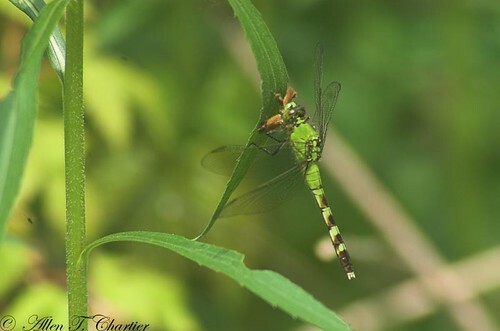 Dragonfly, Part 1, Eastern Pondhawk (Erythemis simplicicollis), Abrams Rock, Village Park, Swansea, Massachusetts, Friday afternoon, August 2, 2013, 6:30 PM / 6:34 PM / 6:41 PM - Canon PowerShot SX50 HS MVI_38344 / MVI_38350 / MVI_38369; 5:20 min.